Everyone has their favorite flavor of bubble or chewing gum. We sometimes chew gum as a stress reliever or to freshen up our breath, and there is a large variety of flavored gums from across the world. We’re pretty much used to the average mint, cinnamon or fruity flavored gums, but have you ever thought about all of the odd flavored gums that may exist? 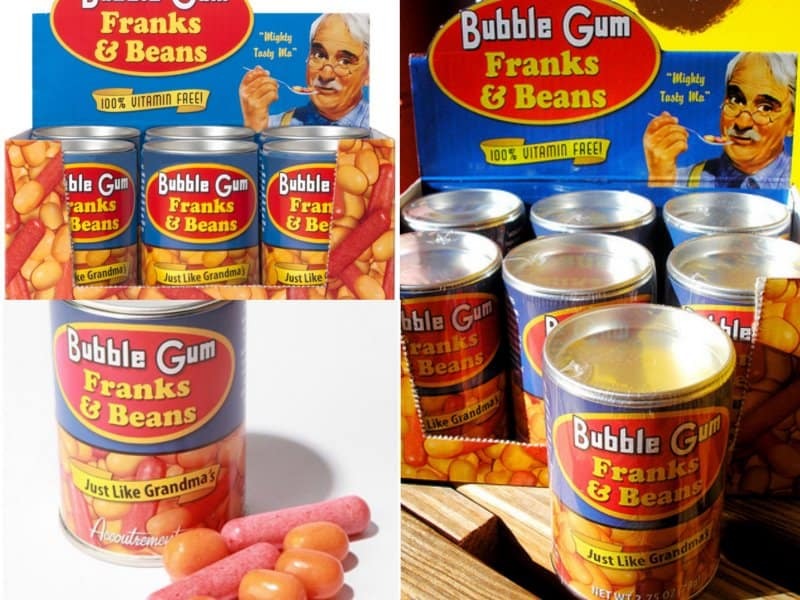 Let’s take a look at some of the oddest and strangest flavored gums to ever exist. 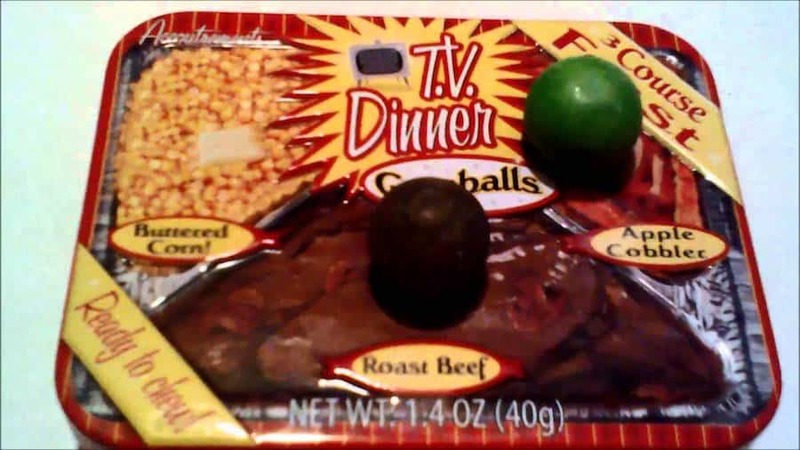 There’s an interesting TV Dinner flavored gum. It features roast beef, buttered corn and even apple cobbler flavors. Maybe this was inspired from Charlie And The Chocolate Factory? 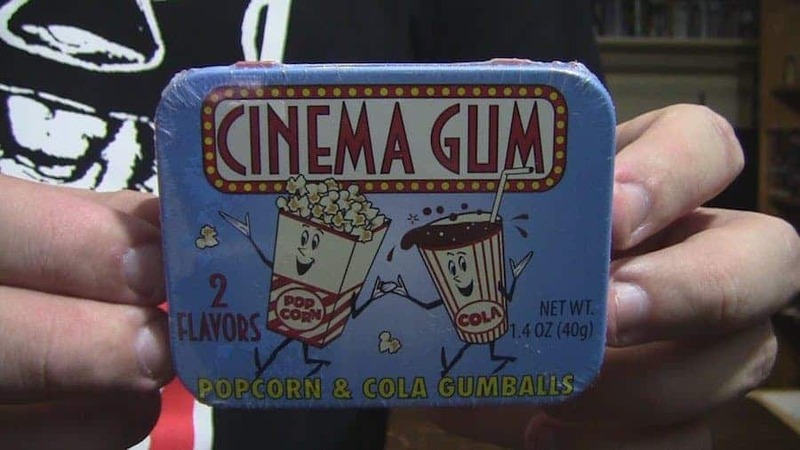 If you love the wonder popcorn and cola combination at the movies, you’ll probably love this popcorn and cola flavored gum. 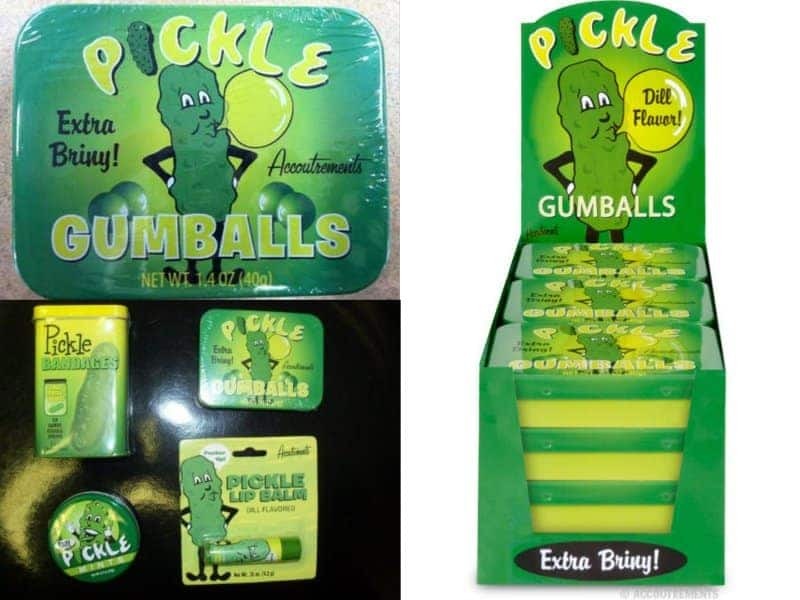 There’s a pickle flavored gum for all of you pickle lovers. It most likely has a tangy, sour taste and we don’t recommend putting a piece of this gum on your burger. 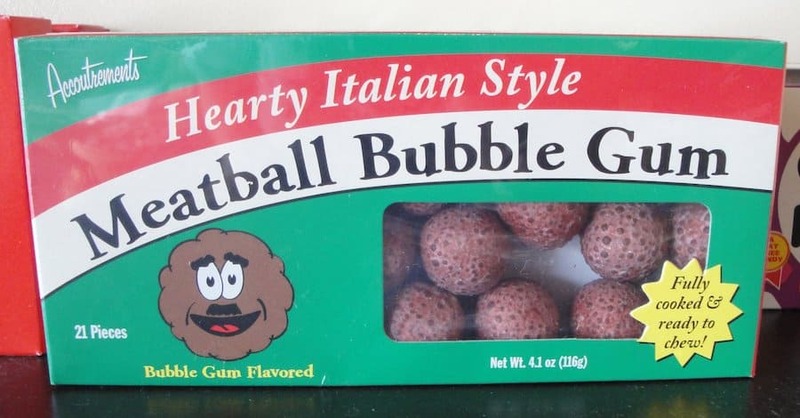 These meatball bubble gums are shaped like actual meatballs! We wonder if they actually taste like meatballs, and if they’d go well with spaghetti? 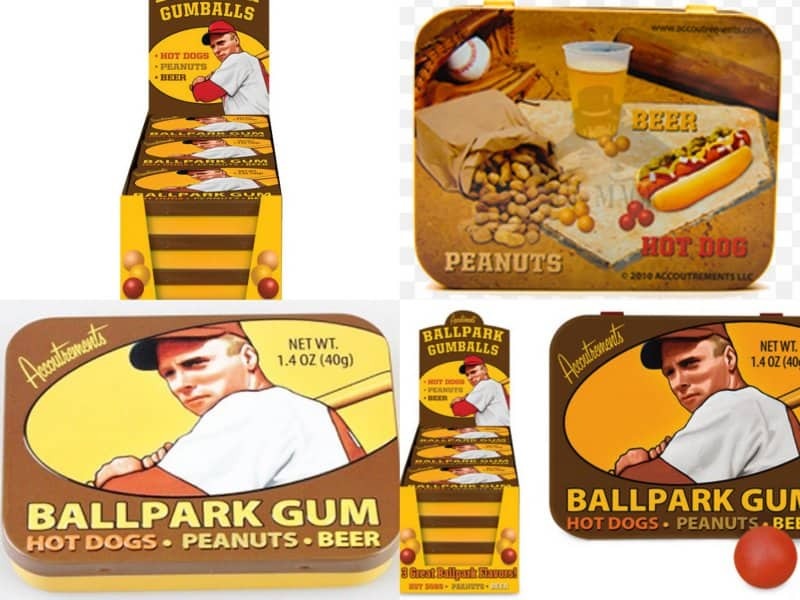 These ballpark flavored gums will have you thinking you’re at the ballgame. The flavors range from beer, hot dogs and peanuts. 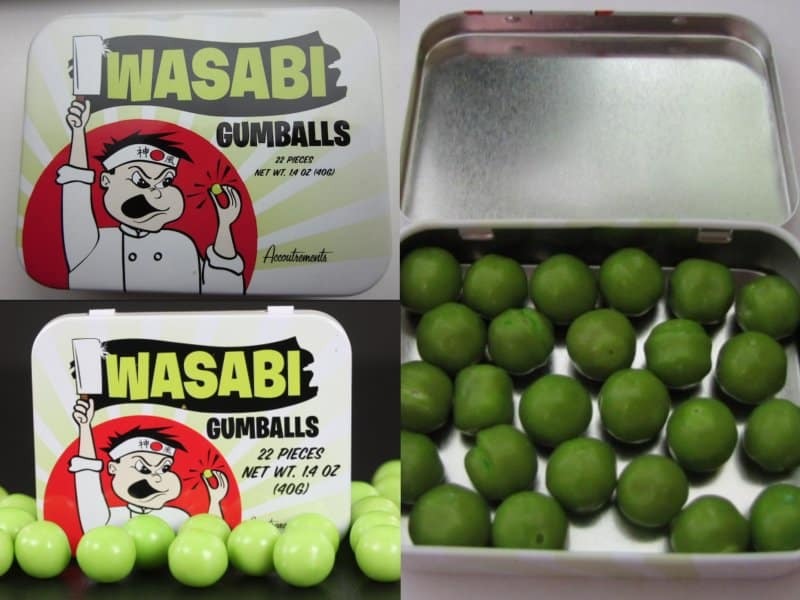 If you’re looking to add some extra spice to your life, consider trying this wasabi flavored gum. 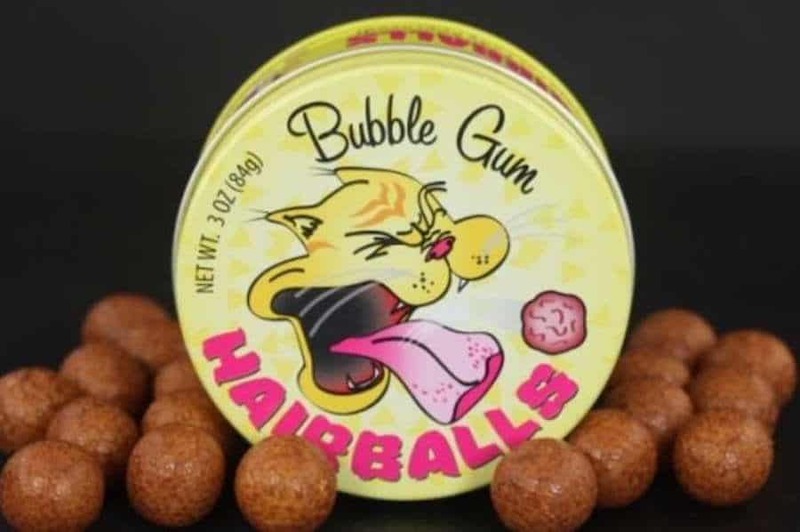 While we wouldn’t be interested in trying a piece of bubble gum that is aptly named “Hairballs”, we’re not sure about everyone else. Maybe they’re targeted at crazy cat ladies? 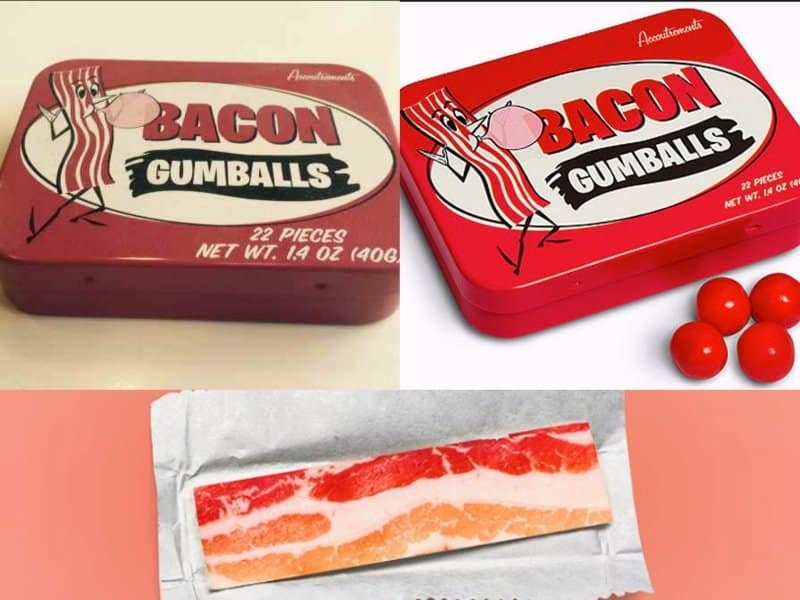 For every bacon lover out there, consider trying this bacon flavored gum. No word if there’s a hickory or smoky flavor for the gumballs though. 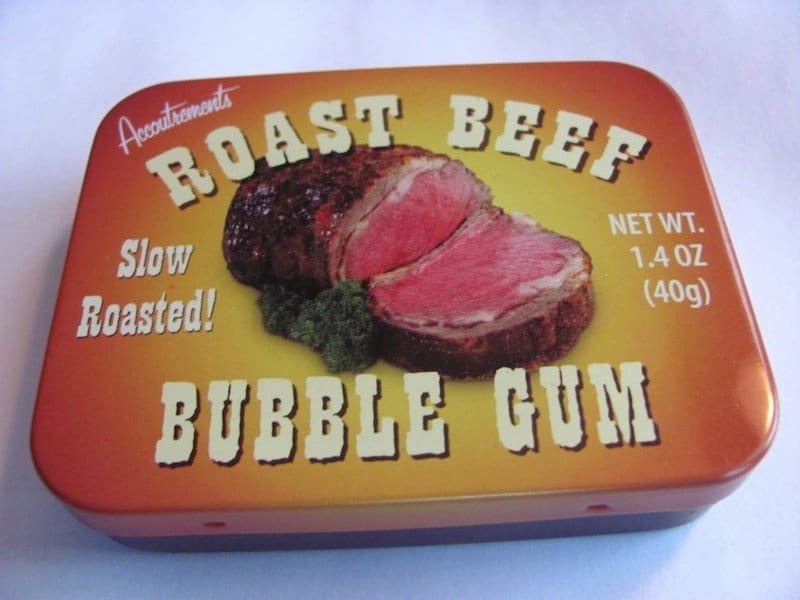 Similar to the first item on this list, these bubble gums apparently taste remarkably similar to roast beef. This gum probably smells like a campfire meal. But would you be willing to chew it on a daily basis?